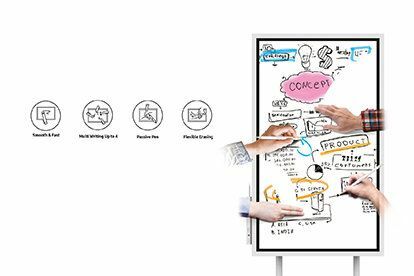 The Samsung Flip is an innovative digital flipchart that helps to drive more productive and efficient business collaboration without the hassle. 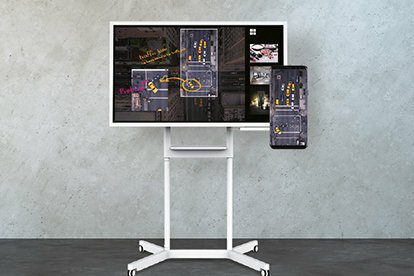 With the Samsung Flip interactive display, your team can work smarter, faster and better. Business meetings can take place anywhere, anytime, and you can take the stress out of the logistics. 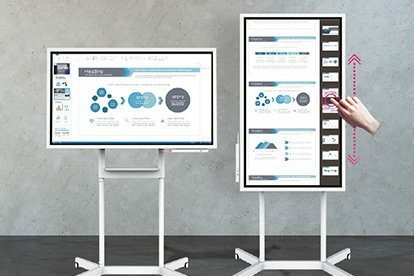 Similar to other Interactive Smartboard, Flip Notation gives you the smooth fast, familiar feel of traditional writing in a versatile digital format, with a variety of colors, styles and widths available. Up to 4 people can write simultaneously, using any object as a writing tool. You can also quickly clear either a small section or full screen worth of content using a hand swipe motion. Through the Flip's broad connectivity, Flip Capture lets you and your team share and make notations within a variety of content files, all maintained at optimal visual quality. Flip Navigation provides an intuitive, user-friendly menu that simplifies navigation and reduces the time required to access controls or view content in its entirety. Facilitators can also preview individual content pages and make instant changes directly on the screen. With Flip Navigation, you and your teammates no longer need to sort through endless stacks of paper to find a specific discussion point. 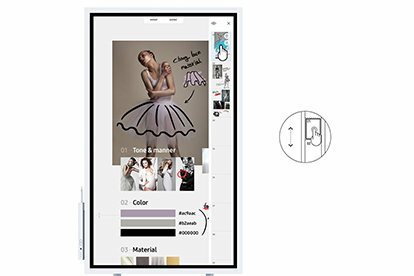 You can seamlessly scroll through and search within up to 20 clearly-divided digital Flip pages for greater efficiency. Flip Protection helps to ensure that your game-changing ideas remain in the right hands through a reinforced data security system. 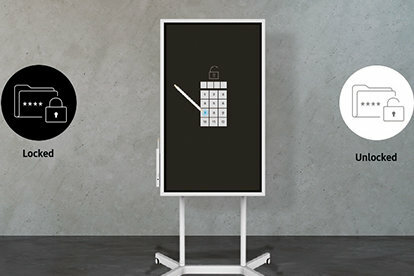 Each in-office team can set a unique numeric password to lock the display and remove critical content from view.